Between kids being kids and the weather being unpredictable, playground surfaces can take quite a beating. XGrass synthetic turf can dramatically decrease the need for ongoing maintenance – while providing the safest possible surface for your new playground. 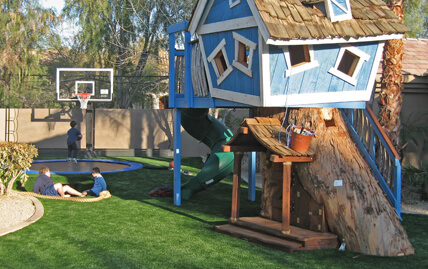 XGrass synthetic playground turf surfacing is designed from the ground up for safety. It’s fully certified by the International Play Equipment Manufacturer’s Association (IPEMA). Designed with PolyGreen Play foam padding underlayment and antimicrobial Envirofill infill, our system is the safest turf play surface available today. Our Heat Block technology is cooler too - up to 17.5°F cooler than other artificial grass systems. 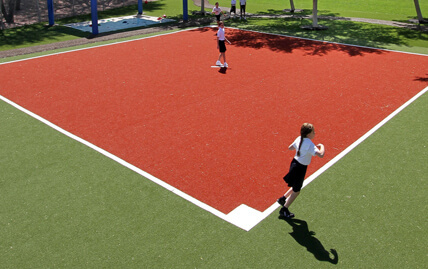 With thousands of playgrounds and millions of square feet of playground turf installed over the last two decades, XGrass leads the market in the specifying, design and installation of commercial playground surfacing. Our team's extensive knowledge of playground safety has led to the development of proven playground turf systems for every application, age level and budget. The area around your pool or water park can be a hazard. The surfaces are often hot and, worse, slippery when wet. You need XGrass. Our turf can take the water without breaking a sweat. It’s called a playground for a reason: sooner or later your kids are going to end up on the ground when they’re playing. 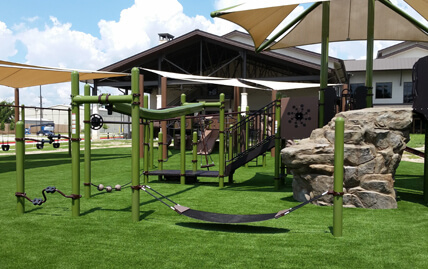 Thanks to XGrass playground turf with PolyGreen Play foam underlayment, they’ll land safe and sound. 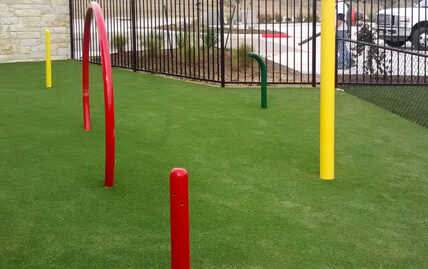 As experts in the field of playground surfacing, XGrass can also assist with the supply and installation of a variety of different playground safety surfaces. 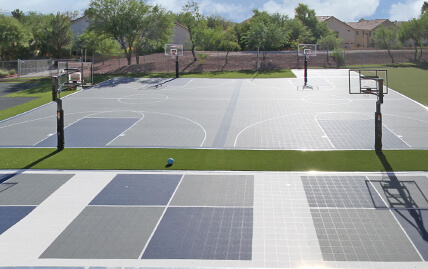 From poured-in-place and bonded rubber solutions by Play It Surfacing to our innovative VersaCourt tile systems, we can assist with surfacing every inch of your playground.